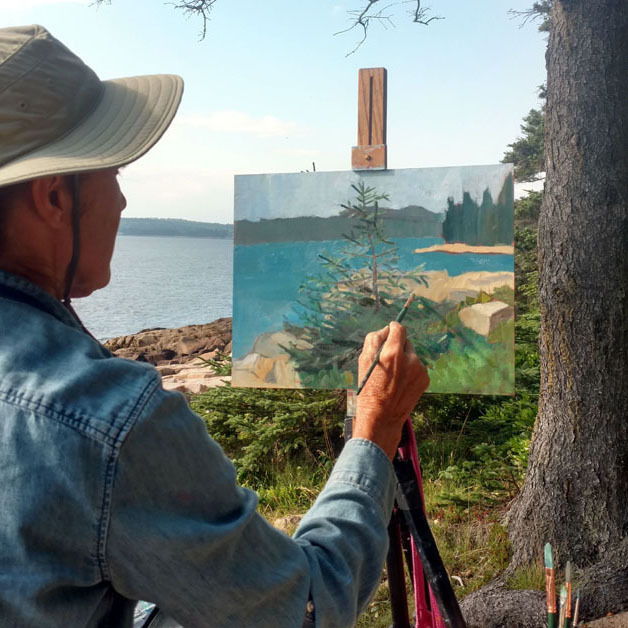 Far from the hustle and bustle of Bar Harbor, Schoodic Peninsula has dramatic rock formations, windblown pines, pounding surf and stunning mountain views that draw visitors from around the world. 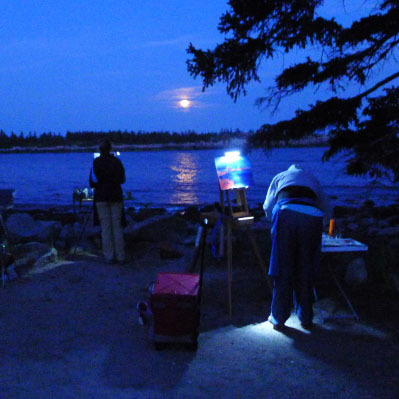 You might look up from your easel to see dolphins, humpback whales or seals cavorting in the waves. Herring gulls visit while eiders and cormorants splash about. A day trip to the harbor at Corea, ME is included. Far off the beaten path, Corea, ME is a village of small frame houses, fishing piers and lobster traps. Its working fleet bustles in and out of the harbor. 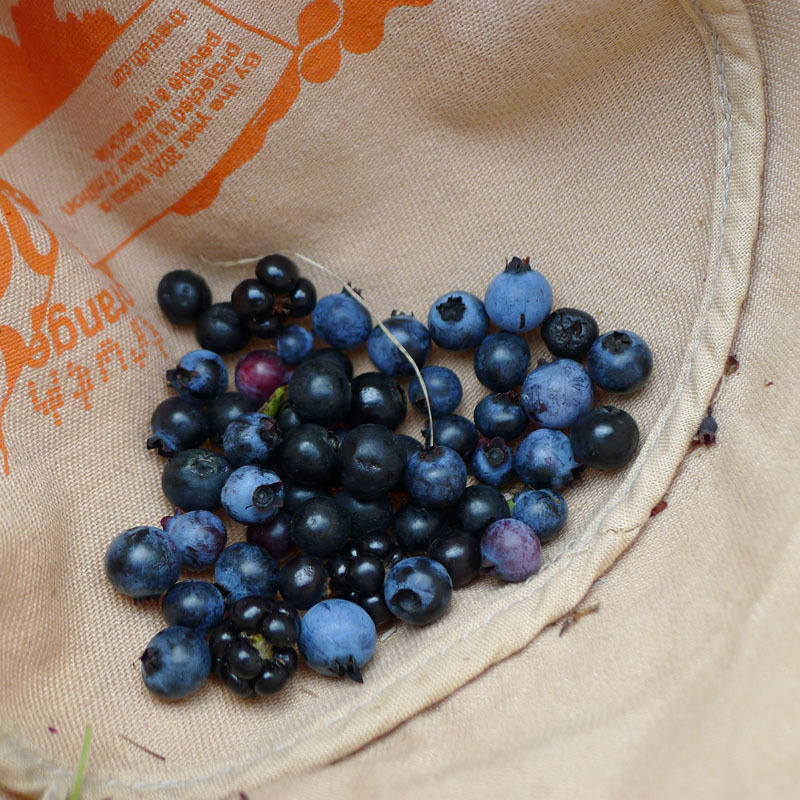 Meals, snacks, and accommodations at the beautiful Schoodic Institute are included in your fee. 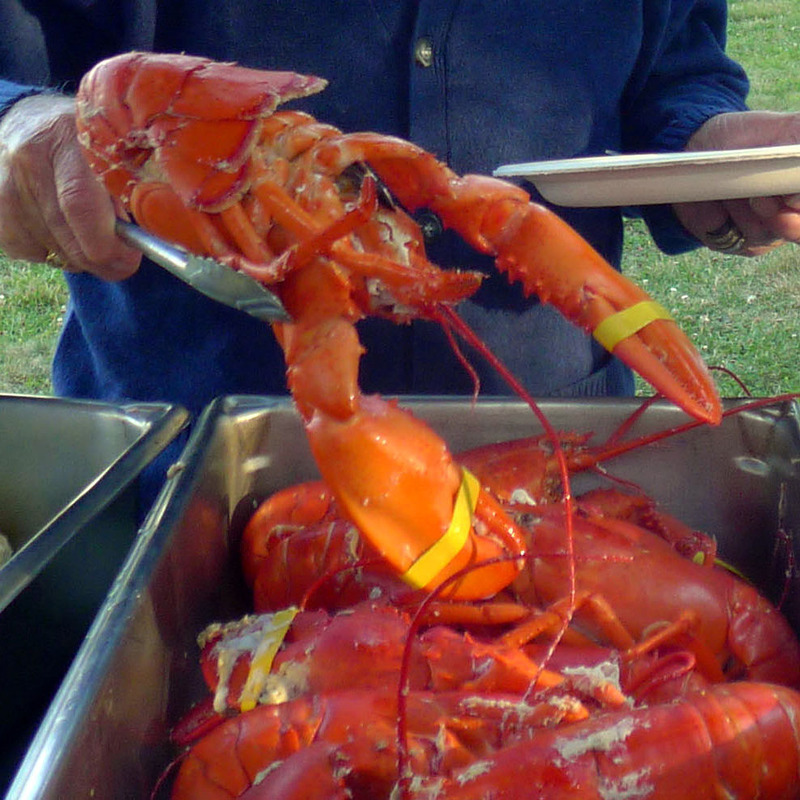 That includes a lobster boil by a real Corea fisherman. We’re right on Schoodic Point so we have unrivalled (and permitted) access to the park. 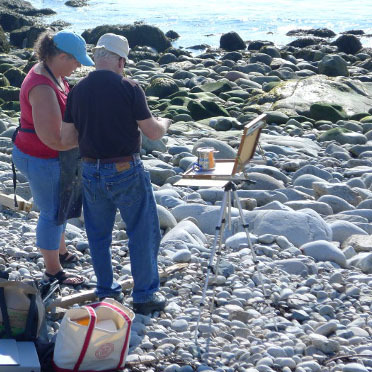 This workshop is aimed at helping painters refine their personal technique in watercolor, pastel, oils and acrylics. It will help you find your own voice and style, without becoming anyone's clone. This is an intensive class, with morning and afternoon on-site painting sessions and lunch-time demos. Classes are kept small so every student gets the attention they deserve. 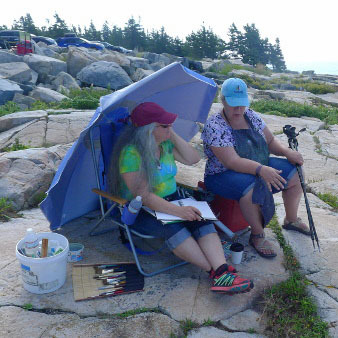 It’s easy to get to painting locations on the Schoodic Peninsula. A ring road with frequent pull-offs means you never walk more than a few hundred feet to your painting destination. 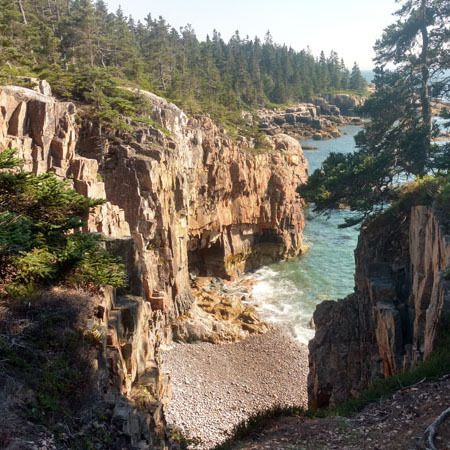 Schoodic is only 90 minutes from Bangor International Airport. Or wind your way up from Boston along historic, scenic coastal Route 1. The one-week workshop is just $1600, including five days’ accommodation in a private room with shared bath, meals, snacks, and instruction. Accommodations for non-painting partners and guests are also available. 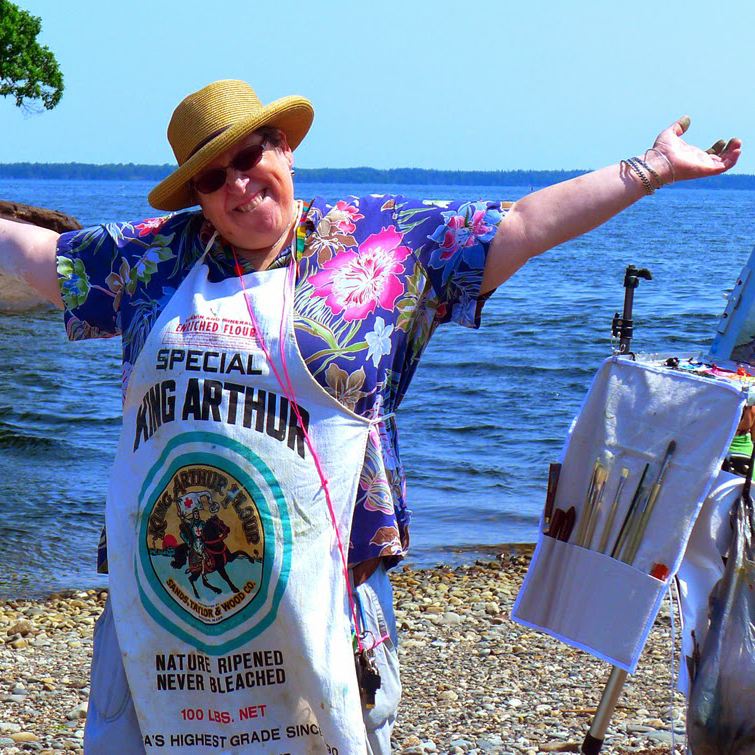 Complete registration forms should be returned by mail to Carol L. Douglas, PO Box 414, Rockport, ME 04856-0414 with your $300 deposit. Or email the form here and make a credit card payment by phone to 585-201-1558. Refunds are available up to 60 days prior to start, less a $50 administration fee. Final payment is due 60 days prior to the start of the workshop. Your deposit of $300 holds your space. 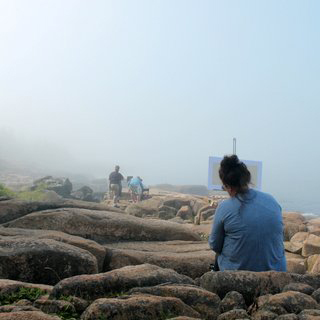 There’s a $50 discount to members of New York Plein Air Painters, Plein Air Painters of Maine or returning students. Email me here for more information.